Greenbriar Marlboro homes for sale in an active adult community. 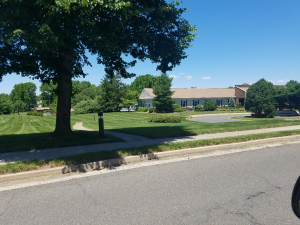 Greenbriar Marlboro is a 55+, Active Adult Community located in Marlboro, Monmouth County, NJ. The monthly maintenance fee includes lawn maintenance, snow removal, consequently, you don’t have to do it. Construction for Greenbriar North started in 1981, and there are over 750 homes in Greenbriar Marlboro. These single family detached homes have either 2, 3, or 4 bedrooms and a 1 or 2 car garage. Many have either a loft or a den and a few have a basement. Homes sizes are between about 1500 sq ft to about 2800 sq ft. This is not a gated community, however, your pets are welcome here. Greenbriar Marlboro has numerous amenities at the clubhouse, which include an outdoor pool, tennis and handball. Also, there’s shuffleboard, a fitness center, pool table room, bocci court & other activities. The ballroom is available for parties, dances and other get togethers. Although Greenbriar does not have a golf course, many private and public courses are in Monmouth County. 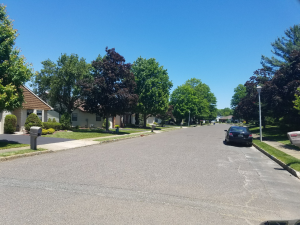 All Adult Communities in Monmouth County offer transportation services from each community to local shopping centers, and there is no charge for this scheduled service. Additionally, Monmouth County also provides a medical transport bus which will take people to any medical facility or doctor’s office in Monmouth County. Advance reservations are required, however, there is a small fee charged for this service. Residents of Greenbriar Marlboro like it here because it’s situated between Roue 9 and Route 79. As a result, it’s conveniently located near shopping, dining and major transportation routes. Commuter bus service is available at one of the Park and Rides on Route 9. Additionally, The New Jersey Transit station in Matawan provides rail service to New York.